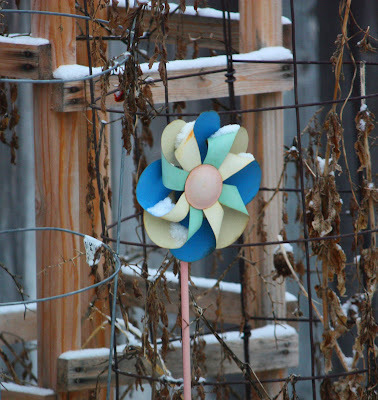 A rusty metal pinwheel in one of the garden beds. We got a little bit of snow early this morning. Love the muted colors - just like winter!